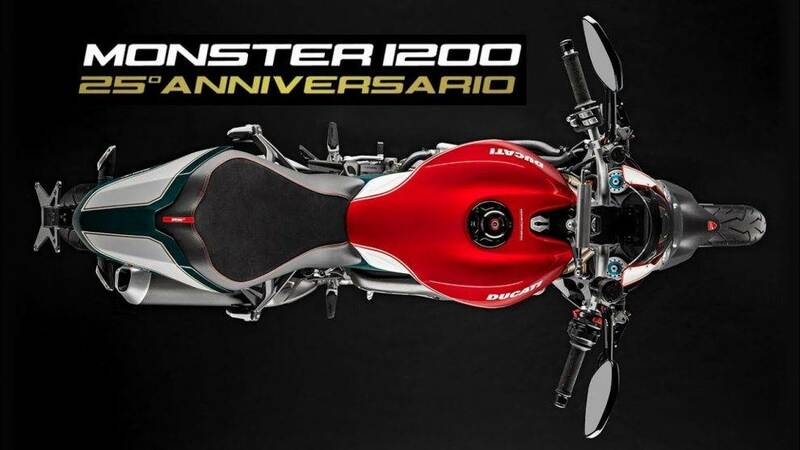 Ducati Monster 1200 25th Anniversary – The Exquisite Tribute to an Icon. 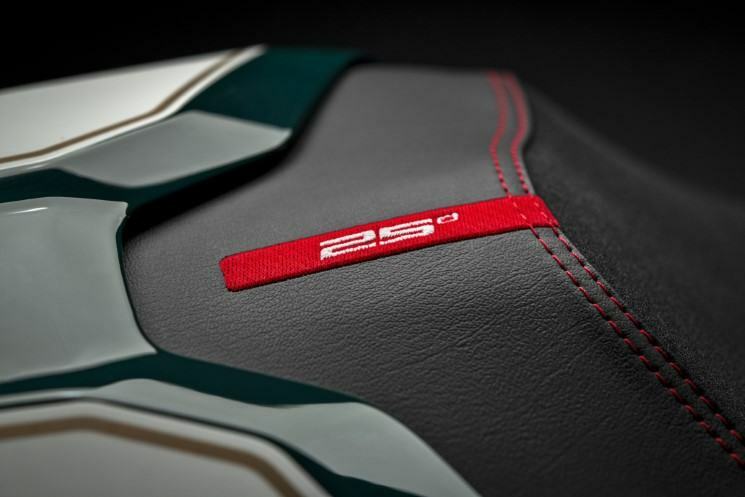 Ducati’s Monster celebrates its 25th anniversary this year, and to celebrate it, the Borgo Panigale brand has announced the launch, in limited edition and numbered at 500 units, of a special version of its Monster 1200 named 25th Anniversary, a model that it uses as a base the S variant of the Monster 1200 decorated with the Italian tricolor flag. The Cologne Salon of 1992 was the starting point of the popular Monster saga, a model that went into production on March 5, 1993, and that served to establish a reference within the naked sports segment. 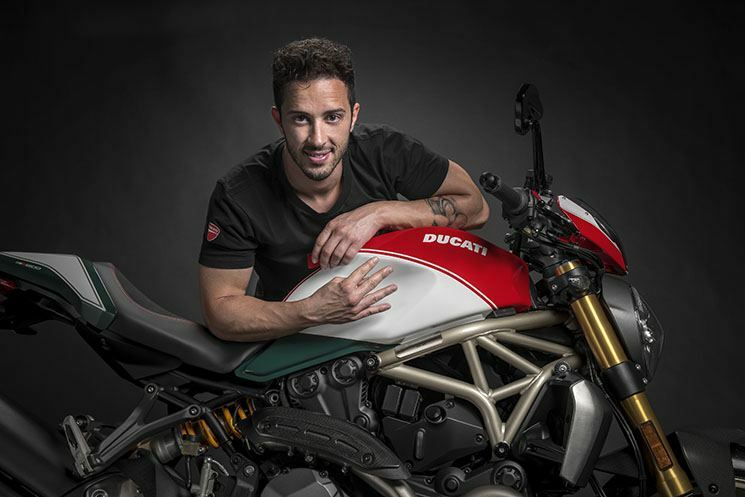 Since then, and with more than 325,000 units manufactured, the Monster family remains more alive than ever within the wide range of Ducati, which currently has three versions: the 797, the 821 and 1200 (in the standard variant, S, and R ). 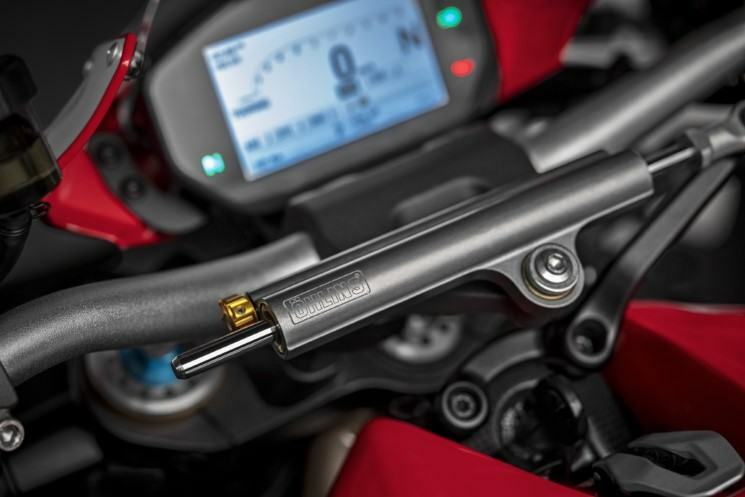 Covered with the colors of the Italian flag, the Ducati Monster 1200 25th Anniversary stands out for its innumerable details, such as the Premium seat with the embroidered ’25° ‘logo, the forged Marchesini W-rims, the new Öhlins steering damper and the presence of machined aluminum parts such as rear-view mirrors, gas cap, brake and clutch cams or license plate holder. There is also a lot of carbon fiber present, especially in the front and rear fenders, in the exhaust guard and in the area where the ignition key is inserted. 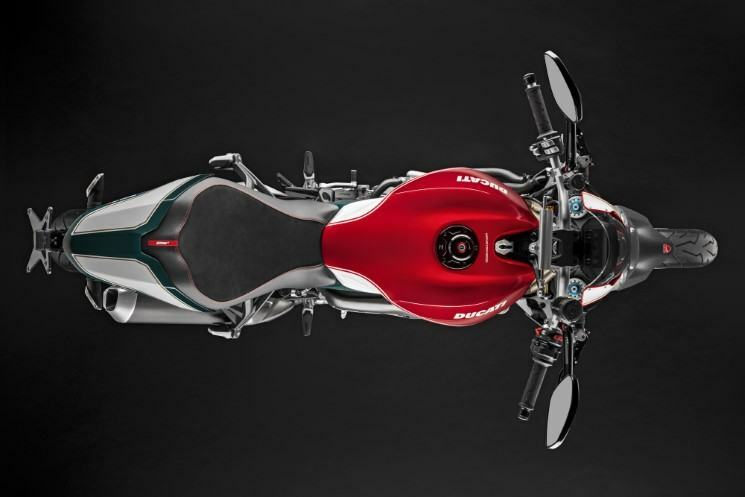 As is logical, each of the 500 units of the Ducati Monster 1200 25th Anniversary comes numbered with a plate anchored in the chassis. 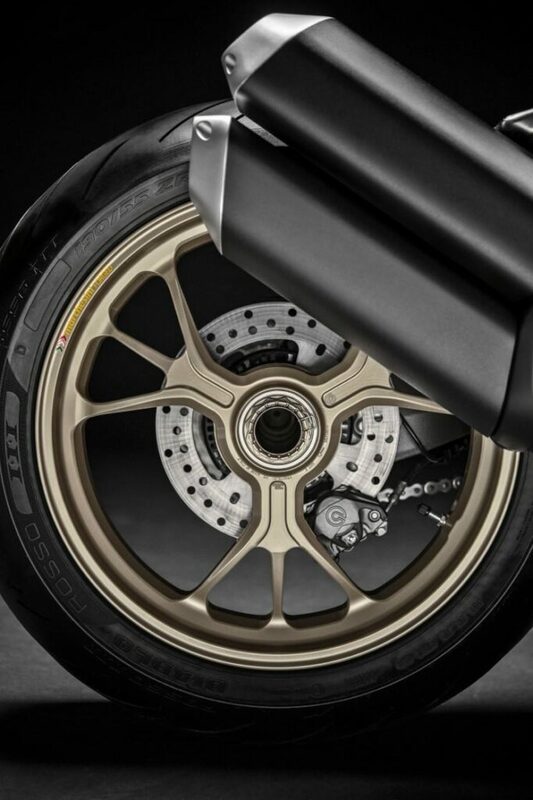 At the mechanical and part-cycle level, it uses the same components already seen on the Monster 1200 S: its powerful Testastretta 11° DS two-cylinder engine with 147 hp power, 48 mm fully adjustable Öhlins inverted fork, Trellis-type tubular chassis at steel, brake calipers Brembo Monoblock Evo M50 4 piston …. 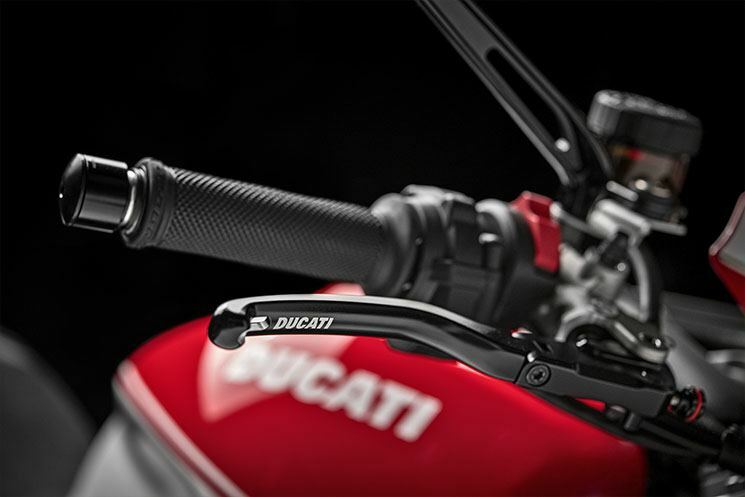 and of course a complete package of electronic aids that includes ABS with assistance in curved Bosch, Ducati Traction Control, Ducati Wheelie Control and the Riding Modes to choose the motor map correct in every situation. 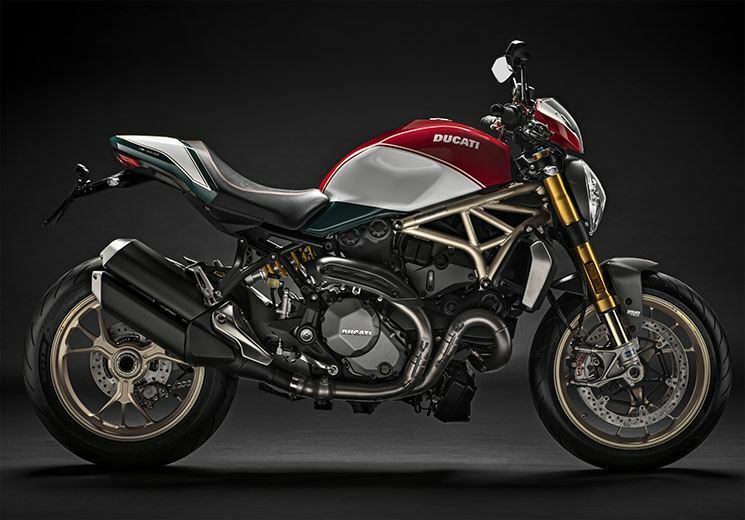 The new and spectacular Ducati Monster 1200 25th Anniversary will be available in European markets starting next September. Its price in Spain is still not confirmed, although it will possibly be around 16,000 euros.